Fall is filled with Back to School crafts and activities at our house. I love finding ways to create learning activities from craft projects. 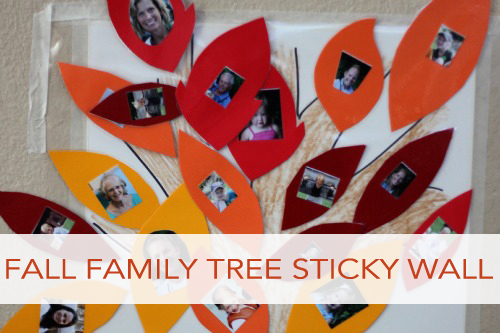 Today I am excited to share a simple Fall Family Tree Sticky Wall activity with you. We have been creating a lot of sticky wall projects lately using contact paper and a variety of materials. Sticky Walls are an interactive way for kids to create and explore. 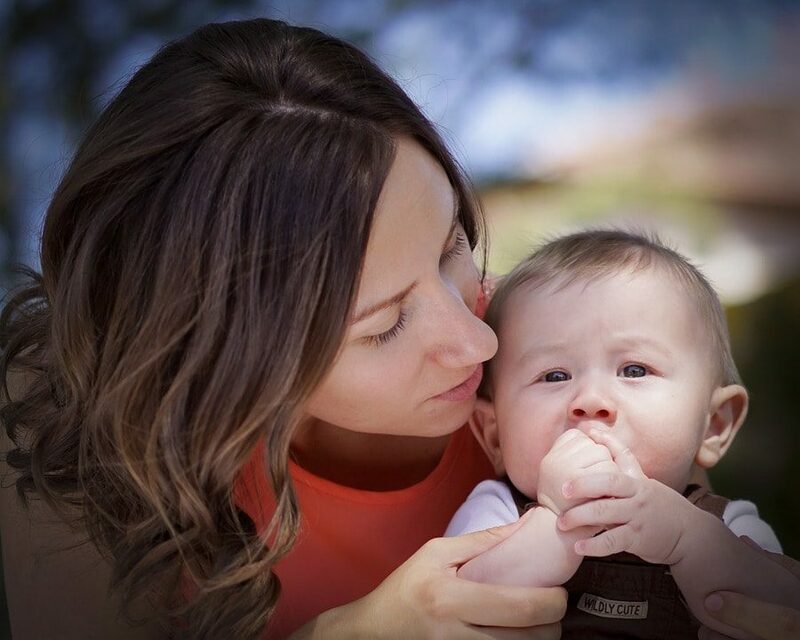 We were first introduced to the idea by our friend Allie over at No Time for Flashcards. Our recent projects have included a Fall Acorn Math Sticky Wall and a Sticky Wall Seashore. A Family Tree Sticky wall is an interactive way to talk about families with children and help them get to know the members of their extended family. We also plan to make a set of leaves featuring my son’s preschool friends so that we can practice learning their names. Adhere tagboard tree to the wall or another surface using painter’s tape. We drew our tree using markers and crayons. Place contact paper on top of the tree and adhere it to the wall (sticky side out). Cut photos and tape them onto the cardstock leaves. Add any words or designs using markers. Laminate the leaves or cover them with contact paper (this step is necessary so that the paper doesn’t stick to the sticky tree and leave a residue). 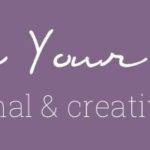 Start creating… then take everything off and try again! It was fun to see the different ways that my kids explored this project. My daughter liked to cover the tree completely with leaves, and we talked about the colors and patterns she made. My son enjoyed organizing the leaves by family groupings and trying to figure out which cousins went with which aunts and uncles and grandparents. We talked about different family relationships and how family members were similar and different. This would also be a fun activity to do with a preschool class for a language activity. You could arrange the pictures of kids based on hair color, similar colored clothes, etc. 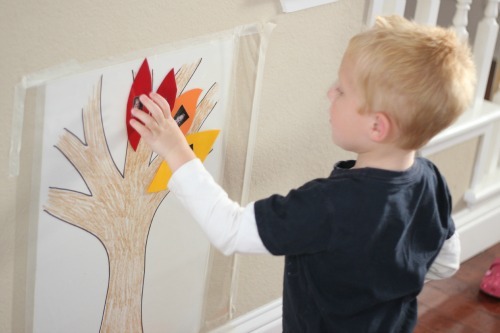 What other activities could you do with a Fall tree sticky wall? What are some favorite Fall activities and crafts at your house?